 A reception will follow in the Life Story Center where food and refreshments will be served. A private burial will take place. 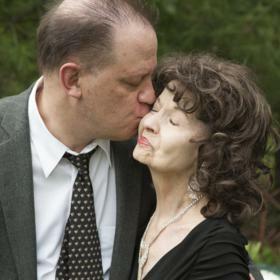 There is no doubt that Maryjane Kuch lived a life richly blessed, but well on her own terms. A loving daughter, wife, mother, and grandmother, her family meant the world to her and there was nothing that she wouldn’t do for each and every one of them. Maryjane had a special knack for shopping. She had to look and touch everything often outlasting any friend or family member that joined her on a shopping trip! Nothing brought her greater joy than selecting the perfect gift for a special someone even if it meant visiting three separate stores until she found it! Maryjane will be deeply missed and fondly remembered by all who knew and loved her. The Roaring Twenties was a period of sustained economic prosperity with a distinctive cultural edge. Jazz music was booming, as well as the automotive industry, and the nation was seeing large-scale industrial growth which brought about significant changes during this era. 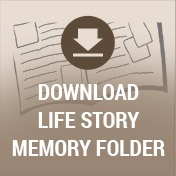 James and Mollie (Vitullo) Lemme welcomed home their newborn baby girl, Maryjane on June 24, 1925, in Youngstown, Ohio. Arriving during a time in history that was filled with feelings of freedom and independence, Maryjane was later joined by her baby brother, Edward. Born to a set of hard-working parents, her father worked in the steel mills and her mother was a homemaker, Maryjane valued a hard day’s work at an early age. She fell in love with cooking ,a trait she obtained from her mother, and enjoyed flowers which she developed from her father’s wonderful knack for growing peonies and fruit trees. She also loved animals and cared for many family pets over the years. Studious in her youth, Maryjane was known to get lost in books! After graduating high school, she modeled clothing and wigs for a local department store fueling her love of fashion. Along with her diploma, she also obtained a lasting and loving relationship with Andrew Kuch who would prove to be her everything from those early years together! 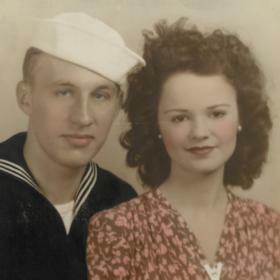 At the tender age of twenty, they joined in marriage on December 15, 1945. He was proudly serving in the United States Navy at the time and was eager to provide Maryjane with a lifetime of happiness. After he was discharged, he was an excellent carpenter and was known to make her things from homemade jewelry to cutting boards to everyday household objects until one day he got the gumption to build her a house! It was there in the home that he built, the happy couple welcomed their one and only son, Robert. Maryjane made sure to transplant some of her dad’s wonderful peonies to the family home to enjoy for their many years there together. Andy was a devoted family man who would do anything for his wife and son. Additionally, he gave Maryjane a lifetime of being treated like a queen. He often let her shop to her heart’s content and allowed her to take in her mother to care for her after her father had passed. Maryjane’s life was full of many endearing memories and special moments. One such moment was the day of her son’s wedding. Bob and Darby married in 1995 in a ceremony on Mother’s Day weekend. Sharing in her special day, the newlyweds bought Maryjane a single rose that they gave to her as a part of their ceremony. She was so touched by their thoughtfulness that it didn’t matter the stem had broken and was taped together! When Bob and Darby moved into their own home, Maryjane continued the tradition of transplanting some of the peonies from her father’s garden to adorn their home. Their home became the destination for celebrating the holidays in Canton over the years. Although she kept a cozy home, Maryjane was pleased to bring the stuffing and help with the main dish but was never interested in orchestrating all the details that went with hosting. Grateful for their parent’s wonderful example over the years, Bob and Darby treated Maryjane and Andy to a limousine ride with champagne for their 50th wedding anniversary. Arriving at Tangier’s, an elegant restaurant known for its Middle Eastern fare, they were genuinely surprised as they never splurged on extravagant things like this for one another. There was never a dull moment with Maryjane. Afraid to fly, she once took a risk with Darby’s sister, Trisha accompanying her on an adventure. Nervous on a layover, Trisha offered Maryjane a cigarette to calm her down. The two of them got so carried away telling stories and laughing outside that they lost track of time and missed their flight! When she wasn’t losing track of time or what was Trump in a game of cards, Maryjane enjoyed catching up with the news on TV. She also favored Christian music and enjoyed reading nearly every John Grisham or Nora Roberts book she could get her hands on! She continued to copy recipes throughout her life, often so busy with copying that she didn’t make time to actually make any of the dishes! Described as a classy, always well put together lady who kept a large collection of both shoes and Jell-O, Maryjane will be greatly missed and thought of each and every time the family gathers together for a special occasion. Each time they breathe in the wonderful scent of a peony, or when they are on a treasure hunt for the perfect gift, may they be reminded of her unconditional love and special presence. 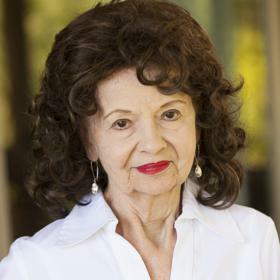 Maryjane Kuch, age 93, died on December 16, 2018. A radiant personality by nature, Maryjane loved to shop and be fashionable. She was very loving of her son and grandchildren, enjoyed hearing their stories, and played competitive Bingo with her friends at White Oaks Assisted Living. Maryjane was preceded in death by her husband of fifty-seven years, Andrew Kuch, and her brother, Edward Lemme. Surviving are her son, Robert (Darby) Kuch, and her grandchildren, Lizzy and Jack, and her special friend, Trisha Dunn. Funeral services will be held on Friday, December 21st at 11 AM at Betzler Life Story Funeral Home, 6080 Stadium Dr. Kalamazoo (269) 375-2900. A reception with food and refreshments will follow in the Life Story Center. 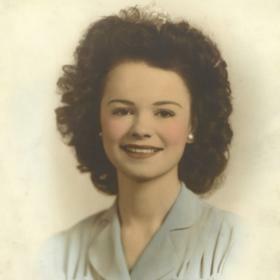 Please visit Maryjane’s personal web page at www.betzlerfuneralhome.com, where you can archive a favorite memory or photo and sign her online guestbook before coming to the funeral home. Memorial contributions may be made to Wings of Hope Hospice.